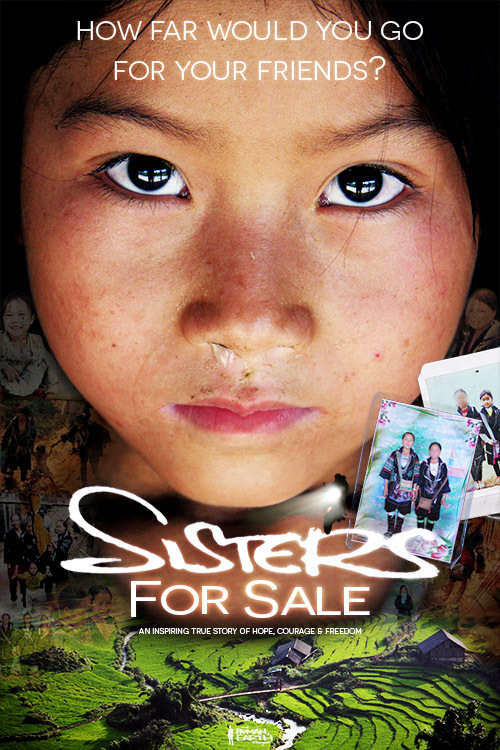 Last July, I shared a cinematic poster I’d designed for our feature documentary, ‘Sisters For Sale’, together with an explanation of what it meant to me. The response was so positive I shared it a few days later on Imgur, where it quickly became one of their Most Viral posts. There was just one thing I neglected to mention: it wasn’t the only poster I’d designed for the film. I love design work, and enjoy searching for ways to express complex ideas visually. The second poster I designed is in a very different, more “classic” style. On the surface, it seems far simpler – yet this one, too, is loaded with hidden meaning, and its meaning is quite different from the cinematic poster. I could explain it to you – but where’s the fun in that? This time, I’ll let you guess the meaning behind the poster. I’ll give a print of the poster itself – the first ever! – to whoever gives the best answer. This poster has a particular theme, which can be encapsulated in a single word – can you see it? 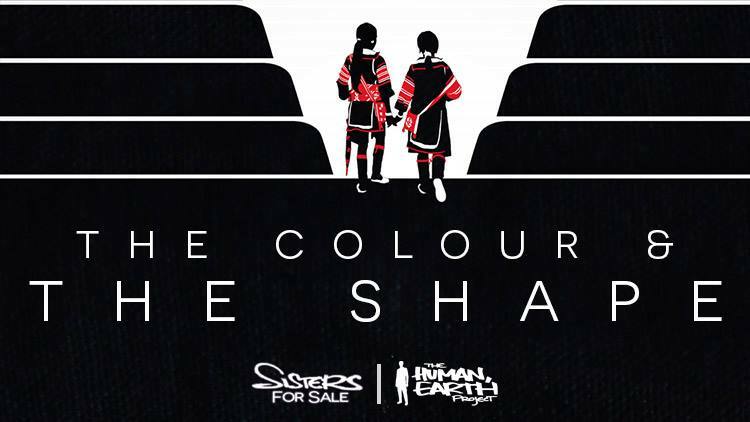 There are four elements in the poster which deliberately underscore that theme – the colour, the shape, the central figures, and… well, one other thing – I’ll let you guess what it is! The poster has never been printed, anywhere in the world. Whoever can send me the most complete and accurate answer by the end of March will win the very first print. If you could describe the theme in a single word, what would it be – and why? Let me know! I’ll announce the winner, and my own explanation of the poster, in early April. I’ve discovered it can be quite complicated to have posters printed or delivered in some areas, but I don’t want to exclude anyone on that basis, so you’re eligible to enter, wherever you are. For form’s sake, I’ll exclude blood relatives. It’s impossible to exclude friends since so many friends are supporters, and so many supporters have become friends, but I’ve written down my explanation of the poster in advance and will have an outsider double-check the closest answers! I’ll be waiting to read your answers at thehumanearthproject@gmail.com. I want to give a shout-out to Laura Snape, whose photograph was the basis for the poster’s central figures. … On another note, Vietnam’s national broadcaster, VTV1, covered our story last week for International Women’s Day. The piece included music by Rami Shaafi and Mike Taylor. I’d like to thank Lan Anh Lo, Dominic Nicholas and Alexander Yo for making it possible!